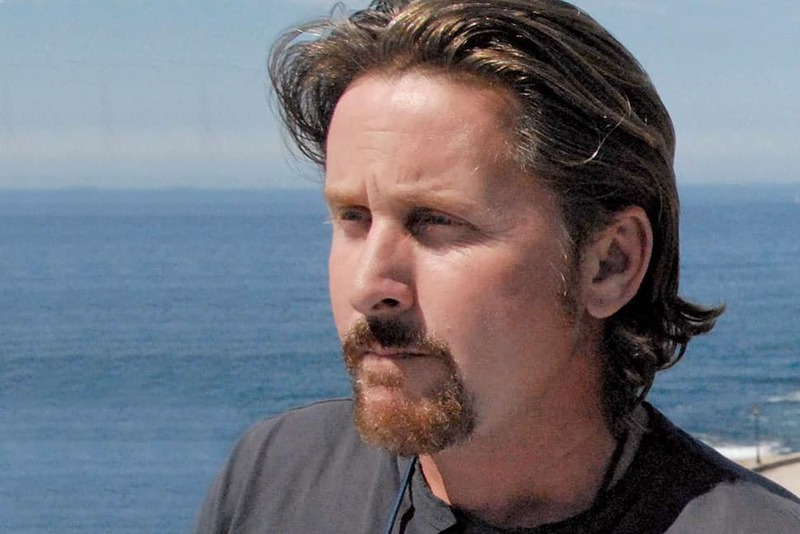 Emilio Estevez is no stranger to the library world. Thirty-three years after portraying one of five teens sentenced to Saturday detention in a school library in the 1985 teen classic The Breakfast Club, Estevez steps behind the camera to write, direct, and star in The Public, about a group of homeless people who seek refuge in Cincinnati’s downtown public library during a bitterly cold Midwestern winter evening. 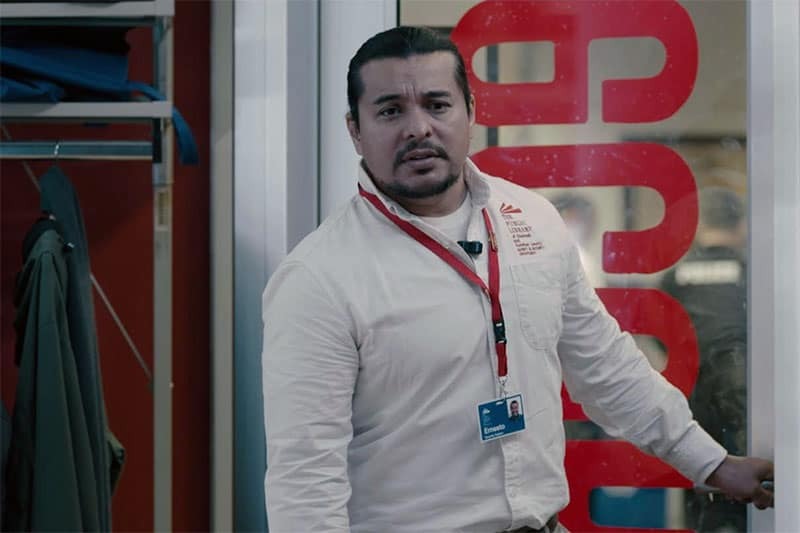 A staunch library advocate, Estevez spoke with American Libraries about the film, its origin, and his connection to libraries. What was the inspiration behind The Public? I was inspired by a moving 2007 essay called “Written Off” by Chip Ward, now-retired assistant director of the Salt Lake City Public Library System, published in part in the Los Angeles Times (and in full at tomdispatch.com under the title, “What They Didn’t Teach Us in Library School: The Public Library as an Asylum for the Homeless”). Ward’s essay was not hyperbole. We are in the midst of an epidemic. 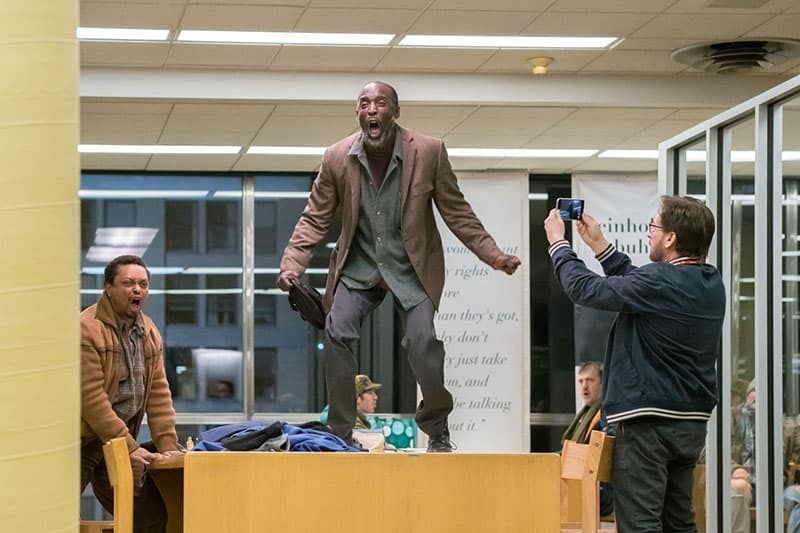 I knew the world Ward described: I completed the bulk of the research for my film Bobby at Los Angeles Public Library’s Central Library downtown, and Salt Lake City Public Library was identical to what I witnessed there. I have carried that section of the Los Angeles Times in a folder in my backpack for the past 11 years, and I show it to anyone who asks where the inspiration for this story originally came from. 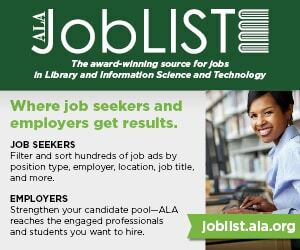 What obligations do libraries and other public spaces have to help the homeless and other populations in need? The word obligation makes some people uncomfortable. There are many in this country who look at the homeless and consider their situation “regrettable but inevitable since some people are bound to fail,” as Ward writes in his piece. And that it’s the fault or shortcoming of that individual; that he or she did not possess the desire to “pull themselves up by their bootstraps.” Well, first off, you’ve got to have boots to begin with. I understand this is a figure of speech, but let’s talk about shoes. You and I have shoes. Multiple pairs. As do probably most of the people we associate with. We also have computers, some of us more than one. A laptop, iPad, and mobile phone, maybe? Now imagine that you don’t have any of those communication devices. You depend on the local library to access a computer where you can sign on, usually with a time limit of two hours depending on the waiting list. You have two hours to write emails to your friends, let your relatives know you’re still alive and surviving the latest cold snap, look for job openings, maybe catch up on your Facebook feed, and read the news of the day. Two hours. So, in the context of this question I would substitute the word obligation with moral imperative. It is a moral imperative for libraries and other public spaces to help the homeless and other populations in need. If you possess a beating heart, that is as close to an inarguable statement as you are likely to hear. Unfortunately, there are many along political divides who are seemingly ­heartless. They view public commons like libraries and issues like net neutrality with contempt. 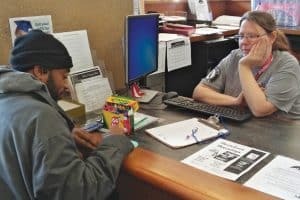 Explain the end of net neutrality to the homeless person sitting in front of that library computer who watches his two-hour time limit get eaten up by slow internet service because the underfunded institution could not afford the premium service and extend it to patrons. Why did you choose Cincinnati as the location for The Public? Originally, the film was set in Los Angeles for two reasons. First, the Los Angeles Public Library’s Central Library, specifically its older section, is an architectural gem—the detail in its original 1926 construction is very cinematic. Second, I thought that it would be wildly ironic that Los Angeles would be swept up in a cold snap, given how we are known for our enviably consistent sunny and 72° weather; even the weather could no longer be trusted and safe. However, in recent years I have been spending time in Cincinnati, where my mother was born, and near Dayton, where my father grew up. During my visits, the director of the Greater Cincinnati and Northern Kentucky Film Commission encouraged me to bring film production to the city, citing a generous state tax incentive that could help offset our production budget. I followed up and toured the large downtown location of the Public Library of Cincinnati and Hamilton County (PLCHC), and I saw immediately how my film could be relocated to Ohio quite easily with a few minor tweaks. And no temperature drop in Los Angeles can possibly compare with winter cold snaps in the Midwest, which are often lead stories on national news. So Cincinnati became the perfect city to set the story for The Public. 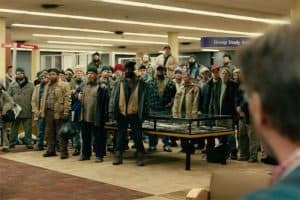 What was it like filming in a working library? As we began to prep the film and meet with Kim Fender, director of PLCHC, library administrators, and personnel, it became apparent to them that the library building itself was going to be a main character in the film. Quite rightly, they worried that giving us access could negatively impact the mission of the public library. I made it very clear that my intention was not to impinge the public right to freely access the library, its information, and its resources. It was important to convey how seriously I take the work of librarians and how important I believe libraries are as a crucial and essential public commons. Fortunately, in the film, there are few daylight scenes, as the bulk of our story takes place at night after the library has closed. As the director, writer, and producer of a crew of more than 100 people, my challenge was properly wrapping after a night of shooting and making sure that we left no discernible footprint. However, many of the colorful banners that you see in shots throughout the film were manufactured by production designer David Bomba and our wonderful art department at my insistence. I wanted to decorate the public space with images and quotes by Sojourner Truth, Henry David Thoreau, Reinhold Niebuhr, and Frederick Douglass that would serve as subtle and not-so-subtle Easter eggs connecting many of the sensibilities of the story. I thought the quote from Douglass, “It’s easier to build strong children than to repair broken men,” was especially relevant. And “The Mask of Anarchy” by Percy Bysshe Shelley: “Rise like lions after slumber in unvanquishable number….” Yeah, maybe not so subtle, but what the hell, right? And of course, Niebuhr is credited with creating the “serenity prayer,” which I thought was important to include given the level of alcoholism and drug addiction that plagues many of the country’s homeless library patrons. Our cast was not aware that these banners were placed by the film production and assumed they were authentic dressings one would find in a library. They were stunned when they learned the truth of their origin. Since we wrapped production a year ago, and at the request of PLCHC staff, all the banners still hang inside the building. How did you prepare for the film with regard to learning the intricacies of the library world? Quite simply, I would visit libraries and quietly sit and observe behavior. There is perhaps no better place on the planet to observe human behavior than inside a public library. 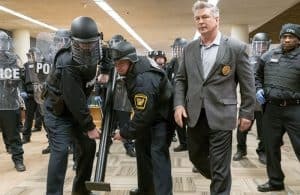 Of course, as I made my intentions known that I would be making a film set inside a library, I was met with both suspicion and encouragement by library staff and administrators. But ultimately, I was given access to the inner workings and a librarian’s day-­to-­day routine. 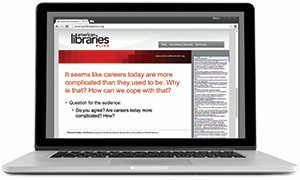 I learned quickly that what most librarians went to school to study and earn a degree in has very little practical application on the floor. 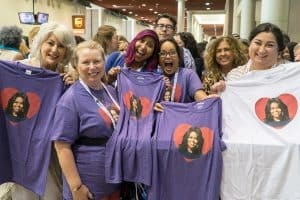 A modern-day librarian is now a de facto social worker and first responder. It’s not unusual for librarians to be trained in the use of Narcan, a nasal application used to treat opiate overdoses. 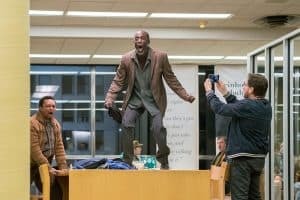 What response has the film received from the library world thus far? 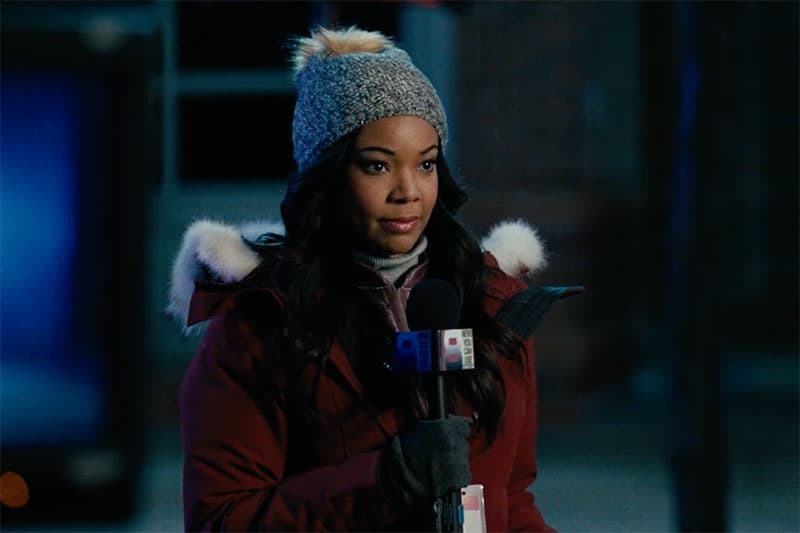 So far, reaction to the preview trailer for The Public has been positive: 90% of the comments posted to social media by librarians have been overwhelmingly favorable. People who do not frequent their local library really do believe that librarians have a job where they get to sit around and read all day. The film dispels that myth within the first 10 minutes. Requests from libraries and their marketing teams for specialized screenings of the film have begun to pour in. Once we figure out our distribution plan and have a release date set, we will address these requests and no doubt screen the film at various libraries in cities around the country. What role did the library play in your life as a youth? What role does it play today? As a boy, the library always felt like a safe place for me. I could disappear for hours and be surrounded by infinite possibilities. It’s impossible for me to visit the library now as an adult and not be transported back to my youth. I remember discovering the work of Edgar Allan Poe when I was 11 or 12 and digging into everything Poe had written that was available at my local library. Only now as an adult do I look back and think Poe was an odd choice for a young boy. But then again, it was the Seventies. One dream I have for the film and how we can support our local libraries and encourage people to “occupy the library” again is to have a percentage of the proceeds of every movie ticket sold go toward the public good in the community where the tickets are purchased. If this were to be successfully implemented, woefully underfunded branches as well as homelessness advocacy groups could benefit from the success of the picture. To do this will be no small feat. It will require the help of outside organizations to create and manage a thoughtful strategy to make sure institutions with the greatest need get the necessary support. And, well, I’m open to ideas and suggestions. Emilio Estevez in The Public. Photo courtesy of The Public Productions. Michael K. Williams (center) in The Public. Photo courtesy of The Public Productions. A group of homeless men and women seek shelter from the elements in a Cincinnati (Ohio) library in The Public. Photo courtesy of The Public Productions. 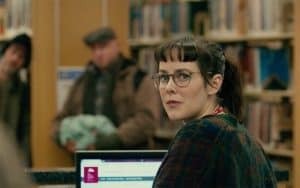 Jena Malone in The Public. Photo courtesy of The Public Productions. 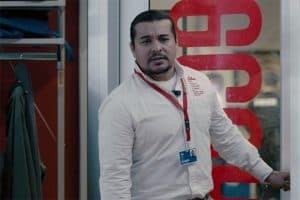 Jacob Vargas in The Public. Photo courtesy of The Public Productions. Gabrielle Union in The Public. Photo courtesy of The Public Productions. Alec Baldwin (right) in The Public. Photo courtesy of The Public Productions. 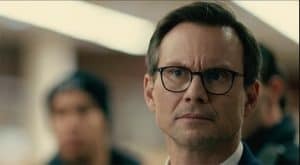 Christian Slater in The Public. Photo courtesy of The Public Productions. Oh, I almost forgot: I just renewed my passport thanks to the passport services provided by PLCHC. Most folks I told about this did not know about this service. That alone makes the library one very cool place, right? 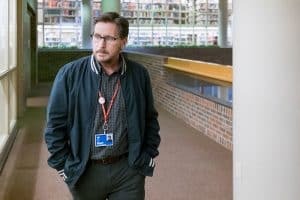 Update, January 26, 2019: Emilio Estevez will be screening “the public” in advance of its April national release. He will be showing the film twice at ALA Midwinter in Seattle, followed by a Q&A with Ryan J. Dowd, executive director of Hesed House Shelter, and author of The Librarian’s Guide to Homelessness: An Empathy-Driven Approach to Solving Problems, Preventing Conflict, and Serving Everyone. Update: Estevez will be at the 2018 ALA Annual Conference in New Orleans in June. Attendees can see an exclusive screening of The Public, followed by a Q&A with Estevez, moderated by Ryan J. Dowd, author of The Librarian’s Guide to Homelessness: An Empathy-Driven Approach to Solving Problems, Preventing Conflict, and Serving Everyone (ALA Editions, 2018). Saturday, June 23, 2:30 p.m.–5:30 p.m.
Sunday, June 24, 1 p.m.–4 p.m.